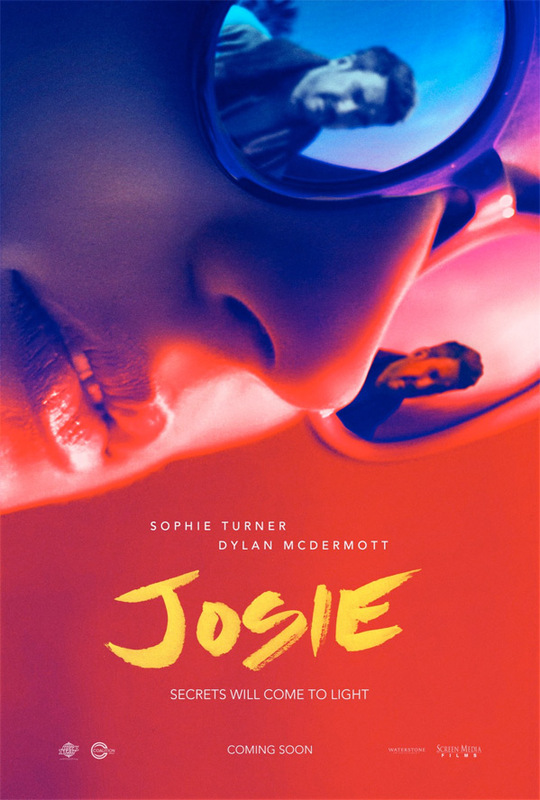 "There's some rumors about you…" Screen Media Films has debuted the first official trailer for an indie thriller titled Josie, starring Sophie Turner (as seen in Barely Lethal, X-Men: Apocalypse, and on "Game of Thrones") as the titular character Josie. The film's plot is actually focused on a mysterious man named Hank, played by Dylan McDermott, who keeps a close eye on her. Josie stirs things up when she arrives in a Southern town called Huntsville, and Hank takes a liking to her, attempting to protect her from a boy she's been spending time with. The film's full cast includes Jack Kilmer, Daeg Faerch, Kurt Fuller, Robin Bartlett, Lombardo Boyar, and George Todd McLachlan. Yeah, this looks like a totally compelling Southern thriller, with a strong lead performance by Turner, who also plays Phoenix in the X-Men movies. Everyone knows everyone in Huntsville. So when tattooed, sweet-talking Josie (Sophie Turner) struts into town, heads turn. Striking up relationships with young punk Gator and loner Hank (Dylan McDermott), she quickly becomes a hot topic of local gossip. But her true intentions for showing up in this small, southern community are far more sinister as her dark past comes to light. Josie, formerly titled Huntsville, is directed by American indie filmmaker Eric England, of the films Hostile Encounter, Madison County, Roadside, Contracted, and Get the Girl previously. The screenplay is written by Anthony Ragnone II. This premieres at the Mammoth Film Festival this month after being sold at AFM last year. Screen Media Films will release Josie in select theaters + on VOD starting March 16th next month. Anyone interested in this?